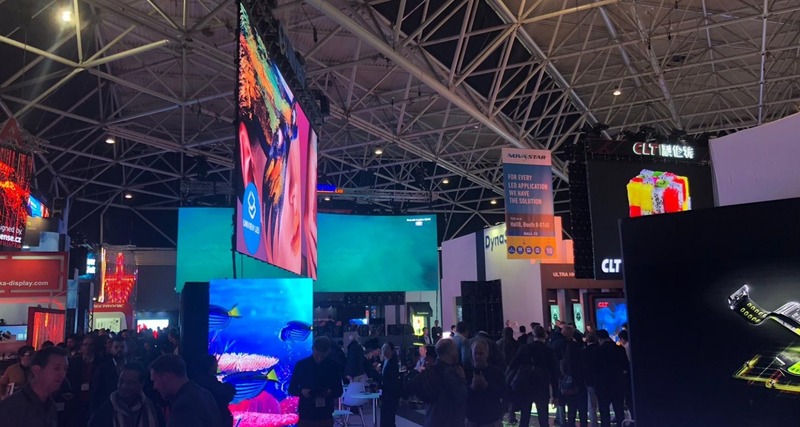 SIS Digital has taken to the world's largest AV and system integration exhibition, Integrated Systems Europe. This weeklong exhibition, based in Amsterdam, brings the world's best AV expertise together to collaborate, learn and do business. The SIS team will be walking around the exhibition discussing LED and LCD technology, so if you're interested or want to exchange knowledge with our team, please feel free to say hi at the exhibition. Click image to open at full-size in new window for high-resolution download (e.g. by right-clicking and selecting 'Save picture as...' or similar). Then close window to return to this page. Want to learn more about SIS Digital Media? SIS Digital is a leading expert in the design and manufacture of digital signage, and is responsible for almost 70% of the digital roadside screens in the UK. We provide full turnkey solutions, including design, fabrication, installation and maintenance. Based in the United Kingdom, we are the digital revolutionary company behind many of the world's most iconic  and some of the largest  digital advertising structures.